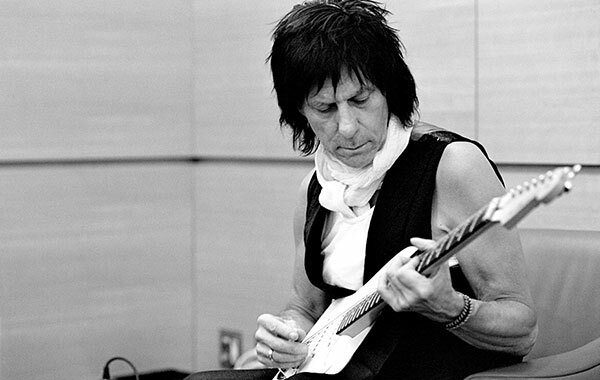 (Los Angeles, CA – April 4, 2016) Announced today, in conjunction with this summer’s U.S. tour, JEFF BECK will release a new studio album on July 15. This marks his first studio album since the Grammy® winning Emotion & Commotion in 2010. In addition, more U.S. Tour dates, co-headlining with the blues legend, BUDDY GUY (except where noted below) were also announced today. Currently, BECK has been hard at work on his first book, BECK01 (Genesis Publications, jeffbeckbook.com), which explores Beck’s passions for hot rodding and rock’n’roll, bound together in his official, signed, limited edition book. Inspired by the sleek curves, luxurious finish and iconic imagery of the hot rods he builds, BECK01 is hand-bound in leather and aluminum with every book numbered and personally signed by the author, Jeff Beck. Jeff Beck’s handpicked selection of 400+ rare and unseen photographs and items of memorabilia is narrated with an original manuscript of nearly 20,000 words, making BECK01 the definitive visual and historical record of one of the most dynamic musicians and creators. Included is an eloquent forward by John McLaughlin that begins, “Jeff Beck is my all-time favourite guitarist, what do I say after that?” Indeed.